Perry Araeipour, Sa Bom Nim captured an historical moment through the lens of his camera as Bill Nelson Sa Bom Nim (Dan Bon 21420) from St. Cloud Minnesota in Region 7 of the United States Soo Bahk Do Moo Duk Kwan Federation® was awarded his Moo Duk Kwan® 8th Dan certificate by H.C. Hwang Kwan Jang Nim on November 21, 2014 in Ramona California at the 2014 Ko Dan Ja Shim Sa. 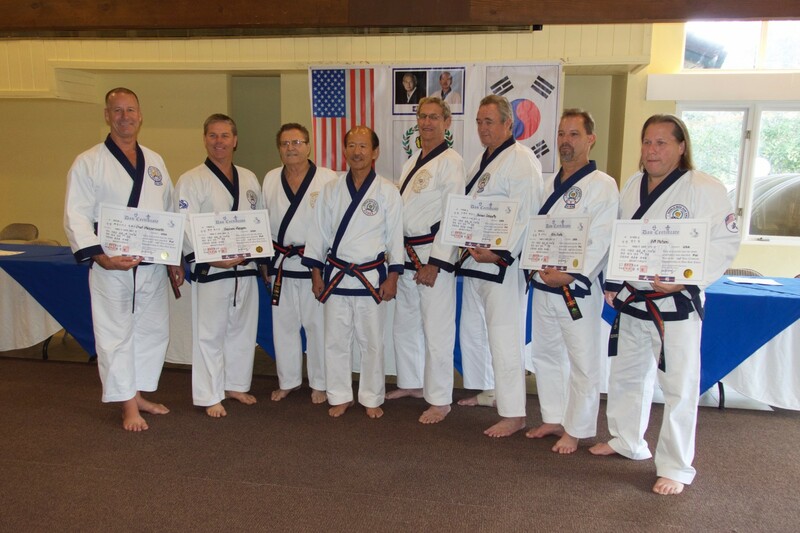 Also receiving their 8th Dan certificates were Fred Messersmith, Sa Bom Nim (Dan Bon 20729) from Torrance, California, Daymon Kenyon, Sa Bom Nim (Dan Bon 19839) from San Diego, California, James Donnelly Sa Bom Nim (Dan Bon 14436) from Hampton Roads, Virginia and Kris Poole, Sa Bom Nim (Dan Bon 20632) from Longview, Texas. Moo Duk Kwan President, H.C. Hwang Kwan Jang Nim presents Bill Nelson Sa Bom Nim (Dan Bon 21420) from st. 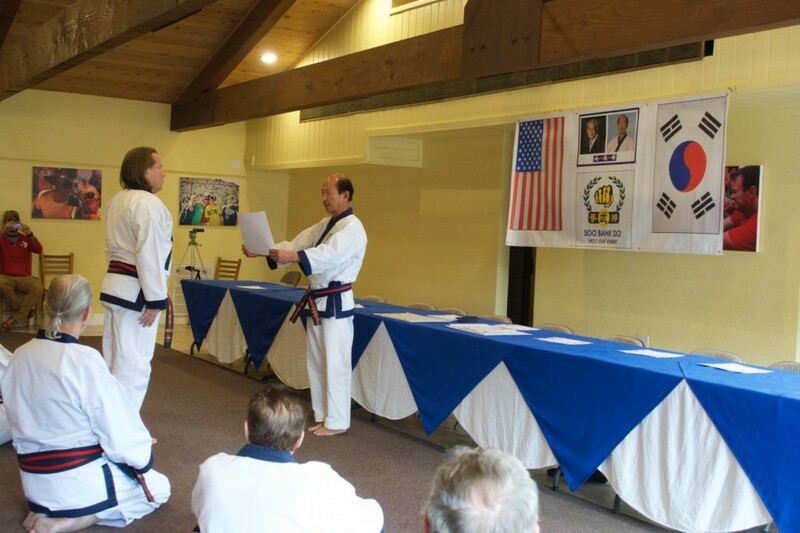 Cloud Minnesota with his 8th Dan rank certificate on November 21, 2014 in Ramona, California.